Charlie and Jake are young men with something in common. Although they have never met and live on opposite sides of the country, they are good examples of how perseverance and hard work can lead to success in the workplace, despite having a learning difference. Charlie is a graduate of CIP Berkshire, a transition program for young adults with autism and learning differences. After earning an Associates Degree in exercise science from Berkshire Community College in Massachusetts, Charlie landed two jobs in his local community. He works in the facilities maintenance department at Berkshire Nautilus, a fitness facility, and in maintenance for the US Postal service in Pittsfield, Massachusetts. He often works over 12 hours a day. Charlie was raised in Maryland, but says he has developed a good life in Massachusetts and decided to stay in the area after graduating from CIP in 2015. Charlie is also an accomplished member of the 46ers hiking club and serves as a volunteer Appalachian Trail Monitor. He has successfully climbed 108 of the 115 mountains in the region with elevations of over 4,000 feet. His goal is to successfully climb all peaks. 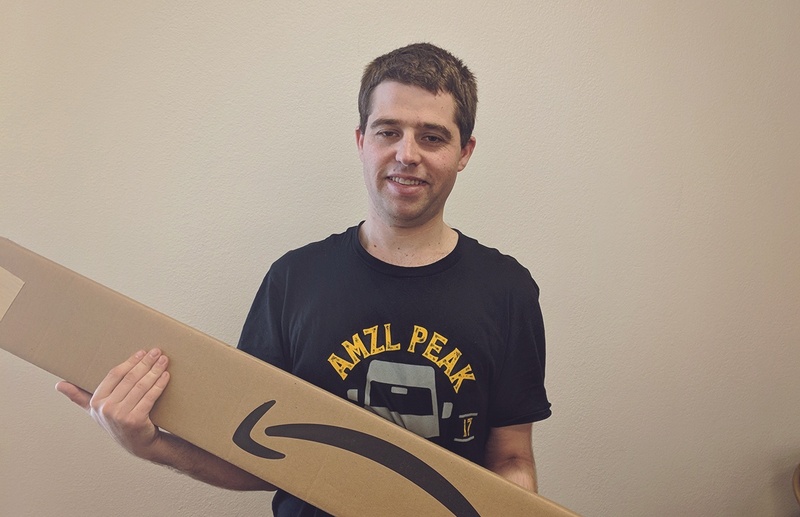 Jake (pictured above) is a current student at CIP Berkeley, He works as a Sortation Associate at Amazon’s fulfillment and distribution center in South San Francisco, California. Jake works from 11 pm until 5 am four days a week where he sorts, diverts, and loads packages onto trucks in the dead of night. “I don’t really mind the hours,” commented Jake. “I like making money and meeting new people,” he continued. “Sometimes a group of coworkers go out to breakfast after work and it’s pretty fun. I have met interesting people from around the world at my job." Jake credits CIP with helping him create an appropriate cover letter and resume for his job search, as well as teaching him how to present himself in a professional manner. He is also studying to become an EMT at Merritt College and would like to work as a first responder in medical emergencies. Diagnosed with traumatic brain injury (TBI) and an auditory processing disorder, Jake has experienced a variety of challenges and has worked hard to find success. In his spare time, he likes playing the game Pathfinder with other students, watching comedies and police dramas. Despite having a learning difference, Charlie and Jake’s accomplishments illustrate how success in the workplace can be achieved with hard work and the right attitude.